Buy this and your school gets £7.50 to spend on books Orders of £10 or more will earn 25% of your order value back in Scholastic Rewards for your school. No-holds-barred magic! The latest incredible colour hardback from the awe-inspiring team of spellbinding author J.K. and genius artist Jim Kay. When the Knight Bus crashes through the darkness and screeches to a halt in front of Harry Potter, it’s the start of another crazy and magical term at Hogwarts. But what with omens of death, the soul-sucking Dementors and an escaped killer on his tail, Harry will need a miracle to get through his third year alive! 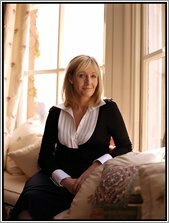 J. K. (Jo) Rowling was born in Chipping Sodbury in the UK in 1965. Such a funny-sounding name for a birthplace may have contributed to her talent for collecting odd names. Jo moved house twice when she was growing up. The first move was from Yate (just outside Bristol in the south west of England) to Winterbourne. Jo, her sister and friends used to play together in her street in Winterbourne. Two of her friends were a brother and sister whose surname just happened to be Potter! The second move was when Jo was nine and she moved to Tutshill near Chepstow in the Forest of Dean. Jo loved living in the countryside and spent most of her time wandering across fields and along the river Wye with her sister. For Jo, the worst thing about her new home was her new school. Tutshill Primary School was a very small and very old-fashioned place. The roll-top desks in the classrooms still had the old ink wells. Jo’s teacher, Mrs Morgan, terrified her. On the first day of school, she gave Jo an arithmetic test, which she failed, scoring zero out of ten. It wasn’t that Jo was stupid – she had never done fractions before. So Jo was seated in the row of desks far to the right of Mrs Morgan. Jo soon realised that Mrs Morgan seated her pupils according to how clever she thought they were: the brightest sat to her left, and those she thought were dim were seated to her right. Jo was in the ‘stupid’ row, ‘as far right as you could possibly get without sitting in the playground’. From Tutshill Primary, Jo went to Wyedean Comprehensive. She was quiet, freckly, short-sighted and not very good at sports. She even broke her arm playing netball. Her favourite subject by far was English, but she also liked languages. At school, Jo would entertain her friends at lunchtime with stories. ‘I used to tell my equally quiet and studious friends long serial stories at lunchtimes.’ In these stories, Jo and her friends would be heroic and daring. As she got older, Jo kept writing but she never showed what she had written to anyone, except for some of her funny stories that featured her friends as heroines. After school, Jo attended the University of Exeter in Devon where she studied French. Her parents hoped that by studying languages, she would enjoy a great career as a bilingual secretary. But as Jo recalls, ‘I am one of the most disorganised people in the world and, as I later proved, the worst secretary ever.’ She claims that she never paid much attention in meetings because she was too busy scribbling down ideas. ‘This is a problem when you are supposed to be taking the minutes of the meeting,’ she says. When she was 25, Jo started writing a third novel (‘I abandoned the first two when I realised how bad they were’). A year later, she went to Portugal to teach English, which she really enjoyed. Working afternoons and evenings, she had mornings free to write. The new novel was about a boy who was a wizard. When she returned to the UK, Jo had a suitcase full of stories about Harry Potter. She moved to Edinburgh with her young daughter and worked as a French teacher. She also set herself a target: she would finish the ‘Harry’ novel and get it published. In 1996, one year after finishing the book, Bloomsbury bought Jo’s first novel, Harry Potter and the Philosopher’s Stone. ‘The moment I found out that Harry would be published was one of the best of my life,’ says Jo. A few months after ‘Harry’ was accepted for publication in Britain, an American publisher bought the rights for enough money to enable Jo to give up teaching and write full time – her life’s ambition! 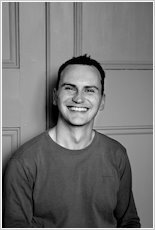 Jim Kay is the illustrator of Patrick Ness’s A Monster Calls, which became the first book to win both the Carnegie Medal and the Kate Greenaway Award in 2012. 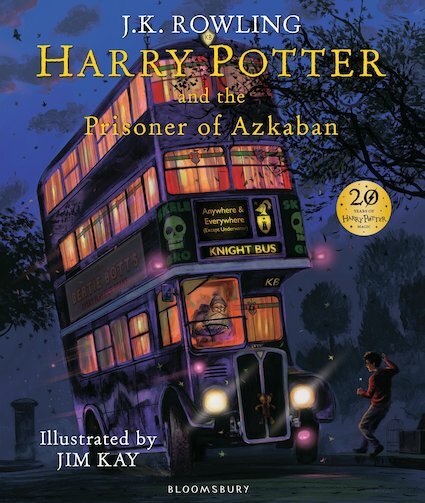 In 2015, he illustrated a stunning new full colour edition of Harry Potter and the Philosopher’s Stone. Jim studied illustration and worked in the archives of the Tate Gallery and the Royal Botanic Gardens, Kew, two experiences that heavily influence his work. His images for A Monster Calls use everything from beetles to bread boards to help create interesting marks and textures. He lives in Kettering, Northamptonshire.